Tweeting in troubled waters: Is someone spilling I&B ministry's secrets? The Congress on Tuesday dubbed as "censorship" the advisory of the Information and Broadcasting Ministry asking TV channels to refrain from using the nomenclature 'Dalit' for people belonging to Scheduled Castes. 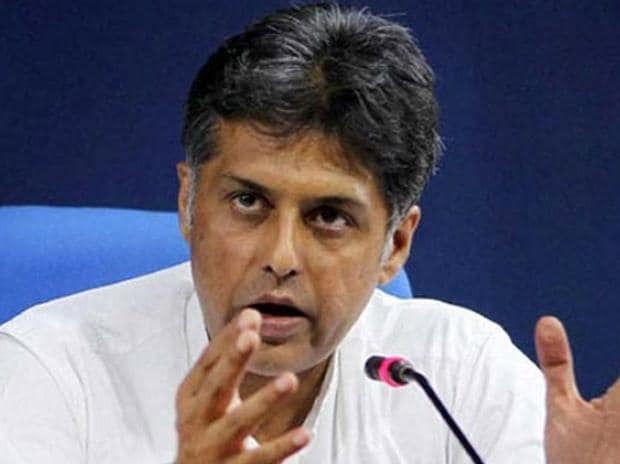 Congress spokesperson Manish Tewari also hit out at some television channels supporting the government's move, and asked them to introspect. He said these are terms which are commonly used in the public discourse. "If the I&B Ministry ordains that the language which you use in your reportage, should also be one that is pre-cleared by them, how else would you characterise this advisory except calling it censorship?" he told reporters. Hitting out at channels that are considered close to the BJP, he said his request to all those media outlets supporting the "spectre of censorship" is that they should introspect. "When you sow the wind, you reap the whirlwind," he said. The Ministry of Information and Broadcasting has issued an advisory to all private satellite TV channels, urging them to refrain from using the nomenclature 'Dalit' for people belonging to Scheduled Castes in compliance with a Bombay High Court directive. The letter, addressed to all private TV channels on August 7, referred to a June directive by the Bombay High Court asking the ministry to consider issuing a direction to the media to stop using the word 'Dalit'. The court directive had come over a petition filed by Pankaj Meshram before the Nagpur bench of the high court. "It is accordingly advised that media may refrain from using the nomenclature 'Dalit' while referring to members belonging to Scheduled Castes in compliance with the directions of the Hon'ble Bombay High Court and the Constitutional term 'Scheduled Caste' in English, and its appropriate translation in other national languages should alone be used for all official transactions, matters, dealings, certificates, etc. for denoting the persons belonging to Scheduled Castes," it said.